I don't know about your parents, but whenever Mother's Day or Father's Day swings round, both my parents don't want a fuss and tell my sisters and I to save our pennies. It's a nice sentiment, but why wouldn't you spoil your parents rotten on that special day? Rather than splashing out on an over-the-top gift, I try and think up a thoughtful one - I like how home made gifts are so personal. Seeing your creation turn a lovely golden colour is very satisfying. The kitchen was filled with a lovely aroma not too dissimilar from honey. Reacting with the bicarbonate of soda, the mixture bubbled and expanded. 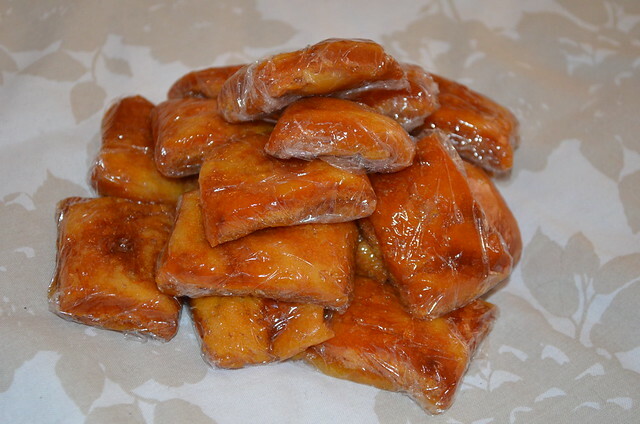 Immediately you pour into a tray lined with greaseproof paper and leave to set overnight. Once set, cut into pieces. 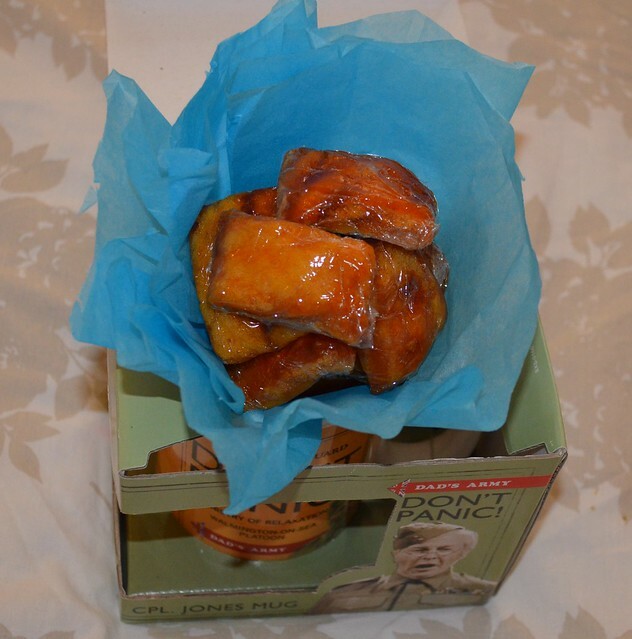 I wrapped mine individually as they were quite sticky. Honeycomb done, I grabbed the mug I'd bought for Dad earlier in the week. 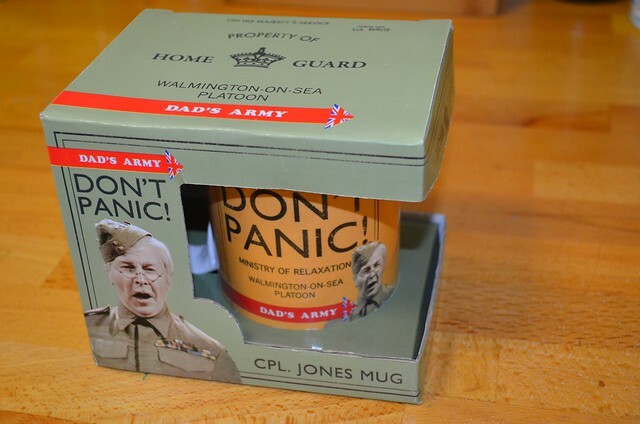 He's a huge Dad's Army fan so whenever I see any Dad's Army merchandise I have to get it for him. I decided to present the honeycomb inside the mug. Job done. 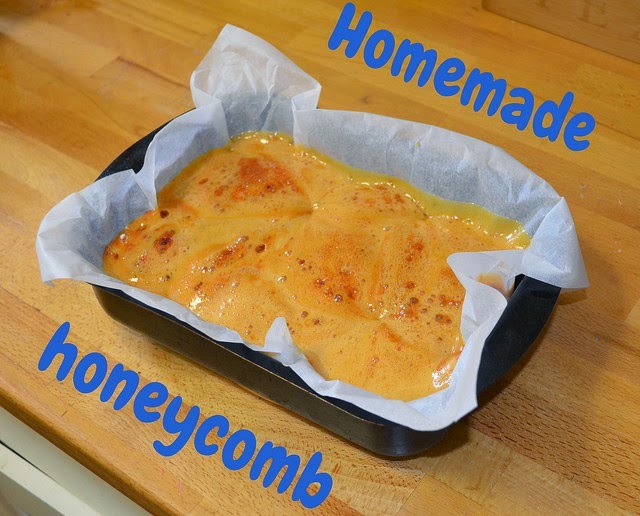 The mug cost under a fiver and the ingredients for the honeycomb, barely anything at all. Plus I have lots of syrup and caster sugar left over which I can use for other baking projects. So there you have it. A DIY Father's Day gift idea that doesn't cost the earth. Obviously you can adjust to your dads' tastes with regards to the vessel and what it contains. And if you're not big on baking, you can usually find bags of those old school pick 'n' mix sweets in most shops now. 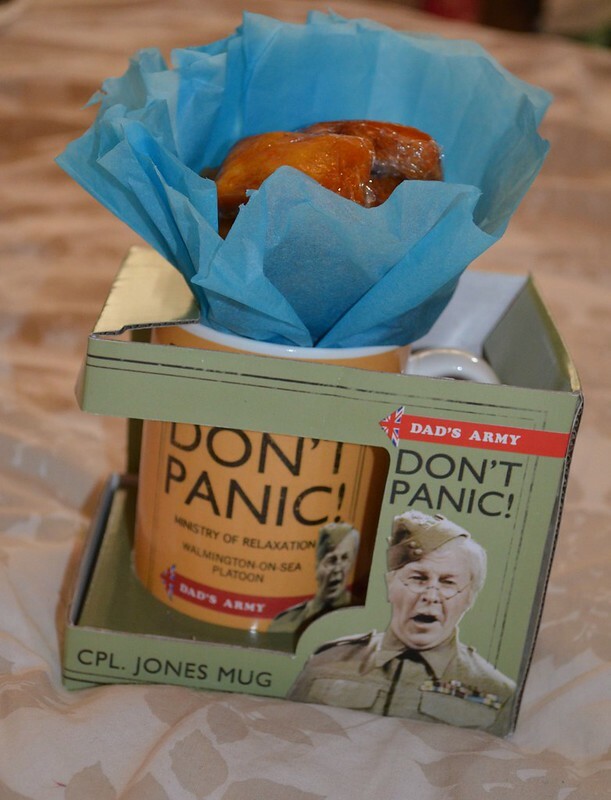 What have you got planned for Father's Day?